Browse the latest new homes by Weston Homes Plc nationwide. The first development built by the housebuilder was a four-bedroom detached house in Essex. Since then, the company has grown and now has an impressive portfolio of new homes across London, the South East and East of England. From the beginning, the housebuilder has specialised in the regeneration of brownfield sites in a way that is eco-friendly, sustainable and in-keeping with the established community. Weston Homes aims to produce high quality homes designed to appeal to a range of buyer requirements. It strives to match traditional skills with the latest technologies. In 2010, Weston Homes won the prestigious National Building Developer of the Year at the WhatHouse? Awards, and in 2014 and 2015, it won Bronze in the Best Medium Housebuilder category. In order to help first-time buyers secure their dream home, the housebuilder offers Help to Buy on its properties, and also has its own service, the first-time SecureBuy scheme. 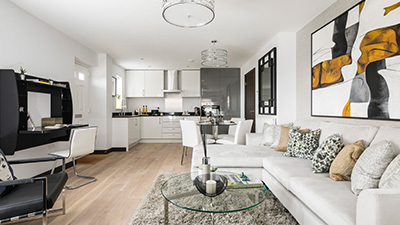 This scheme gives first-time buyers the chance to secure a plot off-plan with just a 5% deposit and a £500 reservation fee. If the purchaser is unable to secure a mortgage offer, they will receive a full refund of the deposit and reservation fee. Choose a Weston Homes Plc development in this area.